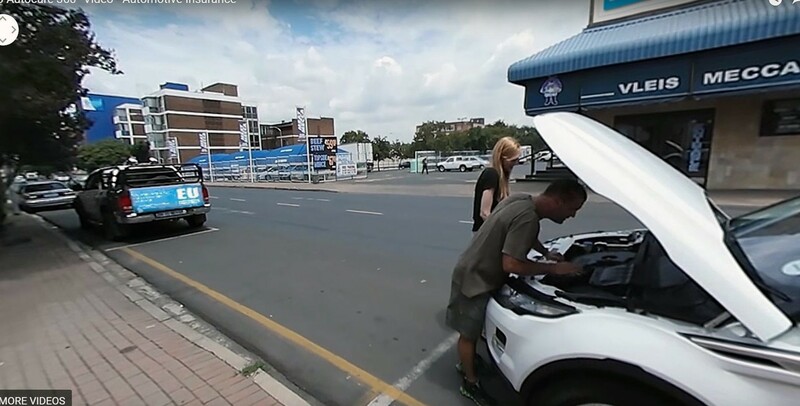 We were commissioned by EU Autocare South Africa to create a 360° video for them showcasing how the EU Autocare insurance works. 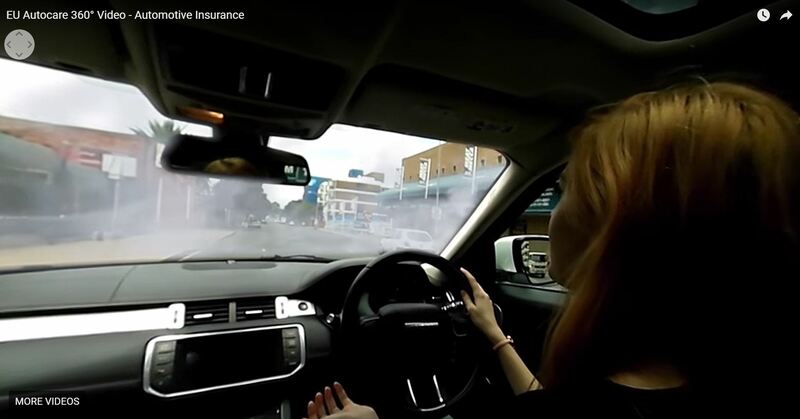 The idea was to basically immerse people into the experience and show a real world example of why people should get EU Autocare insurance and how it can benefit them. We made use of Gerhard Odendaal a well-known South African actor and comedian. He played in the series “Molly en Wors” the “Die Laaste Tango”, “Stoute Boudjies”, “Vaatjie sien sy gat”, and “Poena is Koning” to name a few. 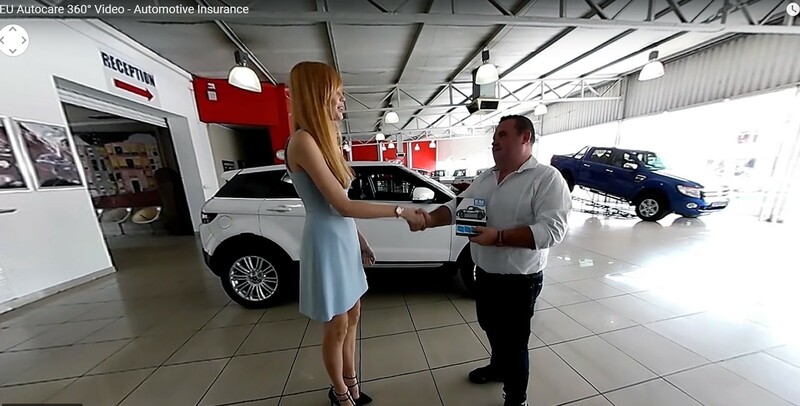 The main story line is basically “an innocent lady goes and buys a new car from a shady automotive dealer” who is played by Gerhard Odendaal. He is more interested in her personally than he is interested in giving her the best car or advice. Luckily for her he does sell her “EU Autocare Automotive Insurance” while doing the deal. Not long after the lady drives off with the car, the car starts giving problems and there is smoke coming from the front of the car. The lady pulls off the road and is quite scared being a women stranded next to the road. Then she remembers about the “EU Autocare” insurance she bought, when she bought the car and phones the EU Autocare helpline. The lady is not stranded very long before one of the EU Autocare automotive insurance roadside assistant vehicles come to her aid. Showing basically how having EU Autocare benefits its clients. If you look through the video you will notice all the EU Branding inside the experience. This is one of the major benefits virtual reality provides to marketers, effectively when people are immersed into a virtual reality experience they can view only the stuff the marketer wants them to see. Just like in a fairy tale the story have a happy ending when EU Autocare insurance pay for the car to get back on the road. Leaving both our actors happy!